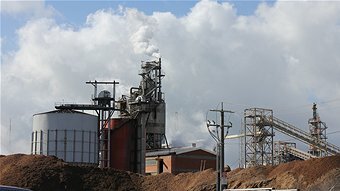 The Maryvale Mill is Australia’s largest integrated fine paper-making and packaging papers complex, producing more than 500,000 tonnes of paper every year. The Maryvale Mill has three pulp mills, five paper-making machines, an ECF bleach plant, pulp lapping machine, finishing facility and a waste paper processing plant. The Mill operates under stringent quality and environmental management standards (ISO 9001 and ISO 14001) and the holds dual FSC® and PEFC forestry Chain of Custody certifications. “Installing the K-MotorShield Motor Covers couldn’t have been easier; it was a one man job to fit because they are so lightweight and were simple snap-on. They have been very effective in minimising the pulp getting in the end covers and clogging up the fins that was causing the previous overheating problems. I can already predict significant cost savings for the Mill in terms of money spent on the maintenance and repairs of the motors.